Last year I received an exciting little gift in the mail—a DVD with just under a thousand photos on it from before I was born to a few years ago. 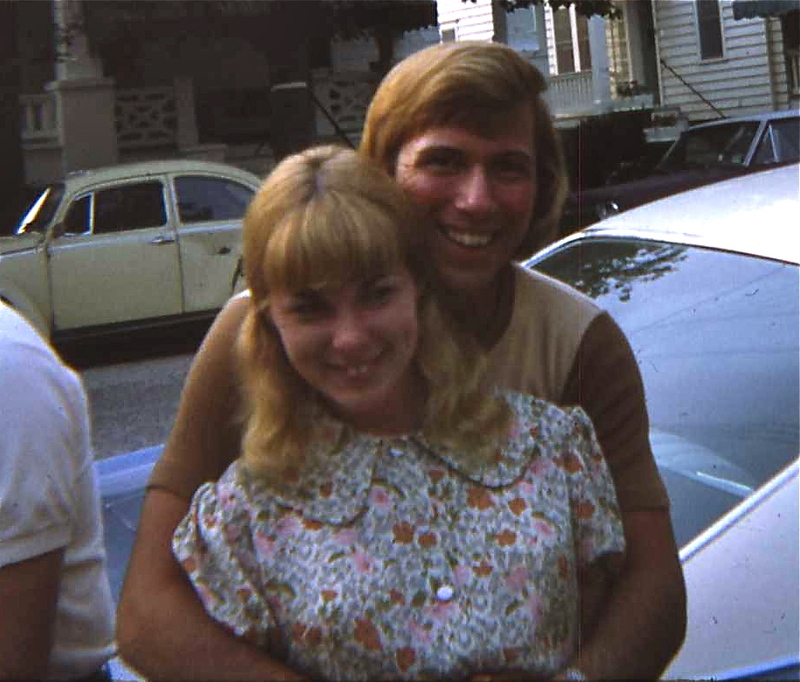 My sister, Joanne and her husband Charles painstakingly scanned them onto a usable format so that my brother and sisters and I would have permanent copies. They represent precious times and wonderful memories. As I went through them one by one with my youngest daughter and her husband (the other kids haven’t had a chance to see them yet), I realized that there were things they didn’t know about my past. They didn’t know that as a one-year old I was a two-fisted thief as I sat with an opened box of chocolate covered donuts in the middle of the kitchen floor, a half eaten donut in each hand. They had only heard stories of me being a longhaired tight-jeaned Fonzie, but now there was irrefutable photographic proof. And they saw their sixteen-year-old future Mom come onto the scene and change my life forever. They watched us grow up together and make new and wonderful memories as a couple—as a family. It was great to look at the pictures with them and I look forward to showing my other children, but I also realized that my past was filled with great memories, a close family—and loving godly parents. I filled in the stories of times we spent together on vacations and outings that carry the greatest of memories but cost hardly anything. I didn’t grow up in a wealthy family—we had very little. Our house was quite small, but I remember it as huge! My four sisters, my brother, my parents and I shared one bathroom during the winter months, and a bath and a half the rest of the year. The half bath could only be used in warm weather because it was a toilet and sink in a little corner closet of the attic, and the pipes would freeze in the unheated space. My dad poured antifreeze down the toilet in November, and we didn’t use it again until spring. A coal furnace heated the house until I was a senior in high school. The furnace was located in the basement next to a coal bin, while a two foot square register directly above it was the only outlet for heat. If you were on the main floor you were very hot, anywhere else (including the attic) was freezing. There are many photos of Christmases over the course of many years, and I was reminded how special my parents managed to make it for us every time. No matter what, there were always piles of neatly wrapped presents for each child, even though my dad didn’t make much money and my mom didn’t work. How did they do it? My parents, I mean. How did they manage to give us such a wonderful childhood and family all of those years without money, or a fancy house, or even a car big enough to hold us without sitting on each other’s laps (there was no such thing as seat belts back then). They loved us—they loved us and gave us the very best, every day. They made sure we knew about Jesus—that He came to die for us. They lived their lives in peaceful submission to God, modeling His love to us, His forgiveness when we made mistakes—I needed that more than the other kids, I’m sorry to say. I know that not everyone has had a wonderful childhood—far from it. But if my parents were able to raise their children in a crazy, poverty-stricken world with little money and no air conditioning or central heat, imagine what we can do for our families—our kids with what God has given us. I don’t mean that we should shower our kids with all the wealth we have—on the contrary. We need to use the money God has entrusted to us for kingdom purposes as He guides and directs each of us. But if we take the time to invest ourselves in our families, really invest ourselves—imagine what that would mean to this and future generations. When your kids look back over their lives twenty, thirty, or fifty years from now, what will they say about you? Will they say you gave them a gift of family, a wonderful childhood, the goal for how to raise their own families? Question: What is your legacy? Is it what you want it to be? Leave a comment below.